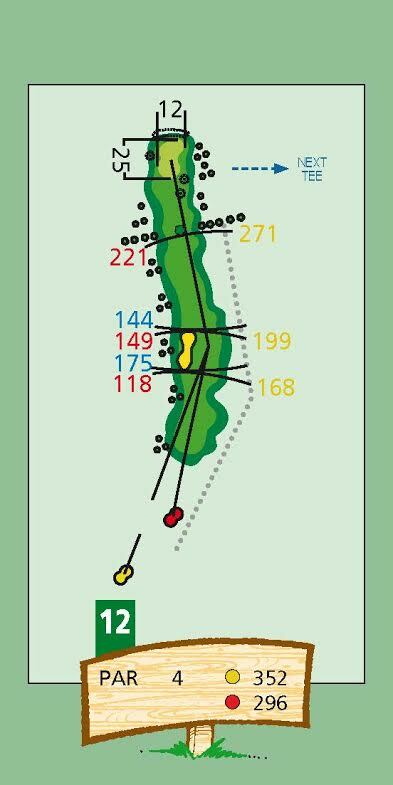 Hit fairway, Watch out for out of bounds right. Hit green. Ram fairway. Pas på out of bounds i højre. Ram green.